DEAR JERRY: One of the history channels ran a show about famous lynchings, including a segment on Tom Dula, who the Kingston Trio immortalized as "Tom Dooley." Apparently there was insufficient evidence to convict Tom of killing his sweetheart, but he was neither the first nor the last whose innocence would not be determined until after the execution. Seemed like a big story, so why did it take nearly 100 years for someone to make a record about it? DEAR TERRY: A big story indeed, probably the O.J. trial of its day, minus Court TV. What is known is Dula's pregnant fiancée, Laura Foster, was stabbed to death in Wilkes County, N.C., in May 1866. As to the killer's identity, the truth may never be known. Reportedly, more evidence pointed to Ann Melton, Dula's "other woman," than to himself. Tom maintained his innocence without implicating Melton, right up to moments before he swung from the gallows (May 1, 1868). The Kingston Trio's version suggests a lover's triangle existed between "a condemned man named Tom Dooley," "a beautiful woman" (Foster) and "a Mister Grayson." Col. James Grayson did assist in the capture of Dula, but the third corner of that "eternal triangle" was Ann Melton, not Grayson. Ironically, James Grayson's nephew, Gilliam B. Grayson, a singer and fiddler, wrote the first song about "Tom Dooley" (changed from Dula) in September 1929. He teamed with guitarist Henry Whitter, and, performing as Grayson and Whitter, they recorded G.B. 's tune (Victor V-40325). From this original, the Kingston Trio retained the "hang your head, Tom Dooley, hang your head and cry, you know you're bound to die," refrain. They also kept G.B. 's nod to his uncle James, so both versions include "hadn't a been for Grayson, I'd be in Tennessee." Ninety years later, and allowing for a conviction loaded with reasonable doubt, the Trio omitted accusatory references such as "ya killed poor Laura Foster … you took her on the hillside and there you took her life." To this day, an official marker stands near the execution site, placed by the United States Department of the Interior - National Park Service. It reads: "The song ["Tom Dooley"] did not reveal the other woman [Ann Melton], who may have done the deed." DEAR JERRY: I have a 45 of "Saving My Love for You," one of Johnny Ace's biggest hits. Of course I had to check out the flip side, "Yes, Baby," and I was surprised to hear a woman singing with Johnny. It's actually a duet, though the labels on both sides credit only "Johnny Ace and Band." Who is she and why is she unnamed? Possibly someone signed to another label who was moonlighting? DEAR CURLY: As rampant as moonlighting was in the first half of the 20th century, whether uncredited or using pseudonyms, that is not the case with the babe on "Yes, Baby." She is Willie Mae "Big Mama" Thornton, whose original version of "Hound Dog" (Peacock 1612) topped the R&B charts about seven months before doing "Yes, Baby" with Johnny Ace (Duke 118). Because Duke was a subsidiary of Peacock Records, there was nothing sneaky about Thornton's collaboration with Ace. Thanks to Big Mama's "Hound Dog," and three straight smash hits by Johnny Ace ("My Song"; "Cross My Heart"; and "The Clock"), Duke-Peacock sold over 1.5 million records in 1953. It's hard to understand why the company ever pressed "Yes, Baby" without Willie Mae's name on the label, but it didn't start out that way. First pressings properly credit "Saving My Love for You" to Johnny Ace and Band, and "Yes, Baby" to Johnny Ace & Willie Mae Thornton. In early 1954, just as "Saving My Love for You" was heading toward No. 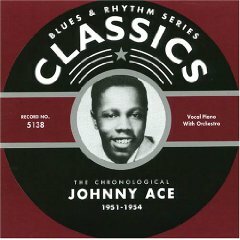 2 on the R&B charts, Johnny Ace, and Willie Mae Thornton, accompanied by C.C. Pinkston's Orchestra, were touring Alabama, Georgia, and Florida. Next Johnny and Big Mama hooked up with the Johnny Board Orchestra for a jaunt through Pennsylvania, Ohio, and Michigan. Duke-Peacock seemingly had multiple reasons to plug both Ace and Thornton; however, subsequent pressings of "Yes, Baby" credit only "Johnny Ace and Band." Maybe it was something Big Mama said. Even among the all-time R&B giants (James Brown; Ray Charles; Fats Domino; Louis Jordan; Michael Jackson; Marvin Gaye; Stevie Wonder; Temptations; Isley Brothers; Aretha Franklin; Gladys Knight; Dinah Washington; etc., etc.) this intriguing streak by Johnny Ace stands alone. 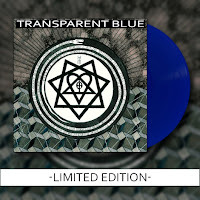 (New York, NY) -Due to overwhelming demand, HIM's new album Tears on Tape (Razor & Tie) is being made available for pre-order in two brand new, limited edition color vinyl pressings (translucent green apple and translucent royal blue). 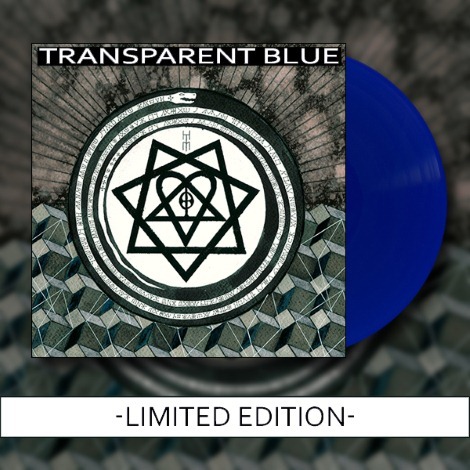 Previous vinyl pressings in both transparent and cream color are now completely sold out. Tears on Tape will be released on April 30th on Razor & Tie in the United States & Canada. The album will also be released on April 26th in Finland and April 29th in the U.K./Ireland, Germany and the rest of mainland Europe. HIM's Tears on Tape is also available on the iTunes Store HERE in the United States. Listen to the first song off the album "All Lips Go Blue" on Revolvermag.com. Tears on Tape is the Finnish rock band's eighth official album and was recorded in their home country with long-time producer Hiili Hiilesmaa and mixed by long time-band associate, Tim Palmer (U2, Ozzy Osbourne, Pearl Jam, Robert Plant). HIM's upcoming headline Tears On Tour run is close to selling-out with both Los Angeles shows (May 3rd - 4th), Chicago (May 8th), New York City (May 10th) and Philadelphia (May 12th) already completely Sold-Out. A second night in New York City has been added (tour dates below). Formed in 1992 by vocalist Ville Valo, guitarist Mikko "Linde" Lindstrom, and bassist Mikko "Mige" Paananen, HIM's previous albums have seen them win a worldwide following, becoming the first Finnish act to achieve platinum sales in the U.S. To date, HIM has sold a combined 1.75 million albums and over 1 million digital tracks in North America. HIM's current lineup is Valo(Vocals), Linde (Guitars), Mige (Bass), Burton (Keyboards), and Gas (Drums). ** Please note: Due to vinyl production manufacturing times, vinyl orders will ship after the album release date of 4/30. Buyers will still receive a digital download of Tears on Tape on 4/30. NYC collective Automatic Children sound a little bit like every cool rock band your older sibling or somewhat friendly record store clerk told you about growing up, thrown into a blender and spit out, creating an entirely potent blend of upbeat, guitar-driven pop. On their latest 7'' Johnny/Now You Know, loud hooks recall Surfer Rosa-era Pixies, while the high-registered vocal delivery of Adam Lippman echoes The Get Up Kids, matched with the world/weary smarts of Paul Westerberg. Influences aside, the simple fact is that Automatic Children are a rock band, streamlined to the basics, who have taken the best of the best and reflected it back in their own way, creating music for discerning fans who are too old to care about trends and like their rock lean, fun, and unpretentious. Rounded out with Ed Vail (bass/backing vocals) and Kevin Letsch (drums) Automatic Children is at heart the combined songwriting efforts of Adam Lippman and Crista Giuliani. The two met when Adam auditioned Crista to sing and play backup in his solo band in 2006. Once the connection was made and the chemistry and mutual influences obvious after a few shows, the decision to form a proper band was solidified and the rest is history. "The music is based on our lives, and our experiences, with a little bit of politics thrown in," explains Lippman. Adds Crista, "I think with multiple songwriters, you get a very diverse sound. I think it's good to have different songs for different moods. Who would want to eat the same thing every night for dinner? Automatic Children were called one of the top NYC bands by The Deli Magazine. Twice. Check them out. We think you'll understand. The two 7" releases were mastered by Steve Fallone at Sterling Sound (TV on the Radio, Sonic Youth, Yo La Tengo, Ra Ra Riot). 6. Brittany Howard & Ruby Amanfu - I Wonder 7"